There did not appear to be any well head matching the description between the two locations, although there was a rush lined pool close by. 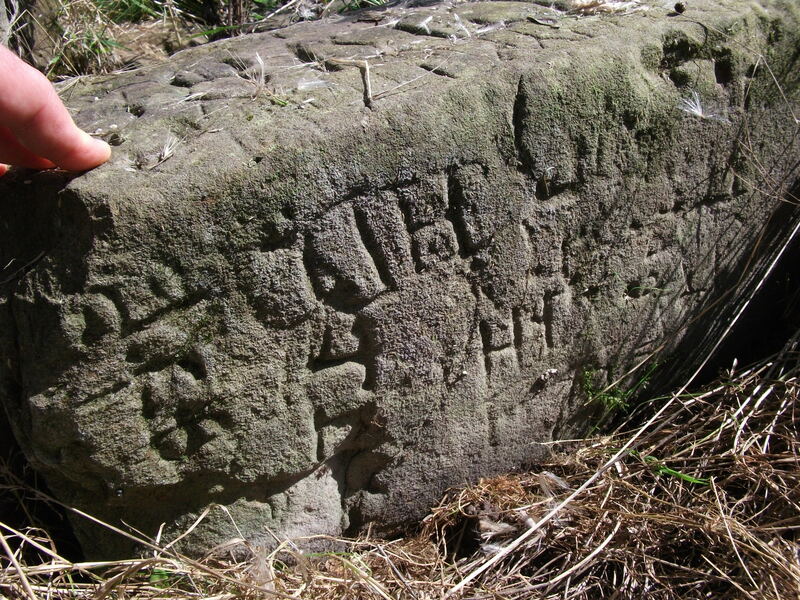 Enquires made in the hamlet of Codsall Wood failed to locate the site and apparently it has been lost. 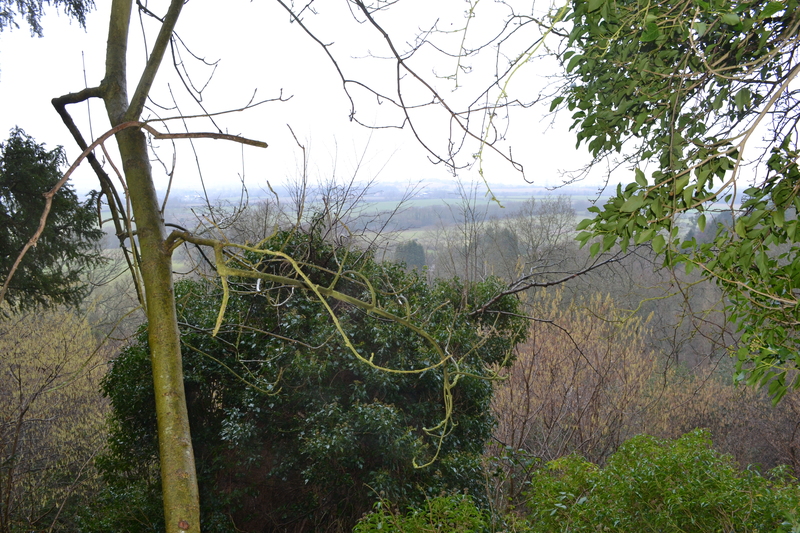 I traversed the area for some time up and down the lanes and concluded that. 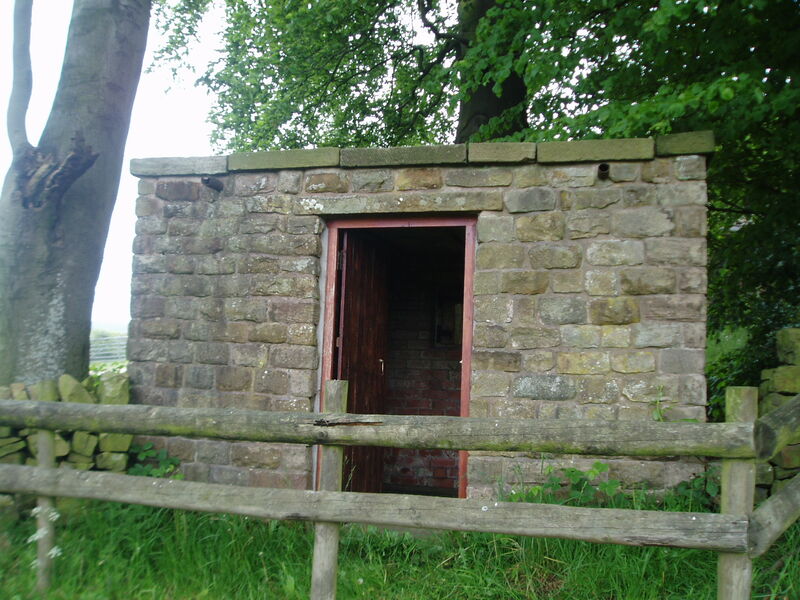 This Leper House now a small farm still exists a few yards above the well on the other side of the road. Plot also notes continues to note that the inhabitants hereabout brew their drink with this water, especially at that which they call the Brimstone Alehouse; and boil their meat with it. Upon which it is observed, that none of them are ever troubled either with scabs or itch, or such like cuticular diseases. 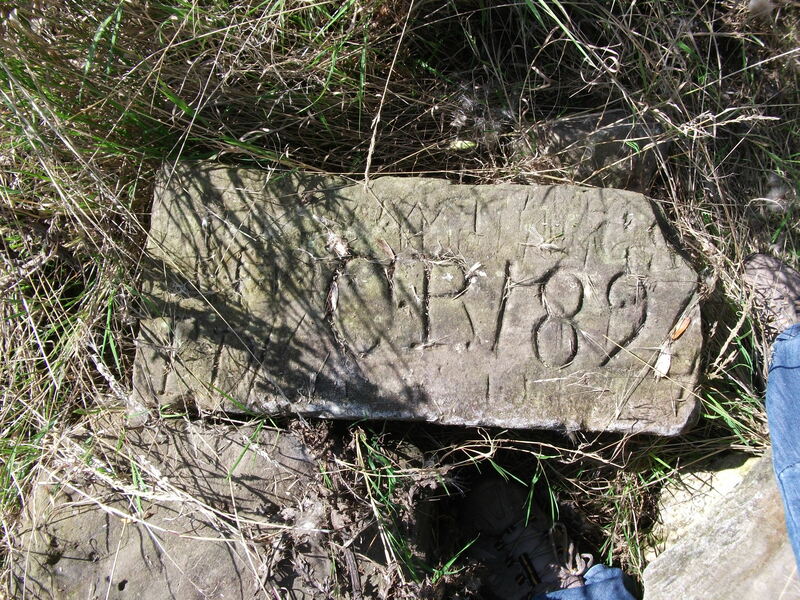 William Pitt in his 1817 A Topographical History of Staffordshire notes that the spring arose, up through the hollow stump of a tree, and runs down the road, leaving a yellowness on the moss resembling flour of brimstone: in warm dry weather it emits a sulphurous exhalation. 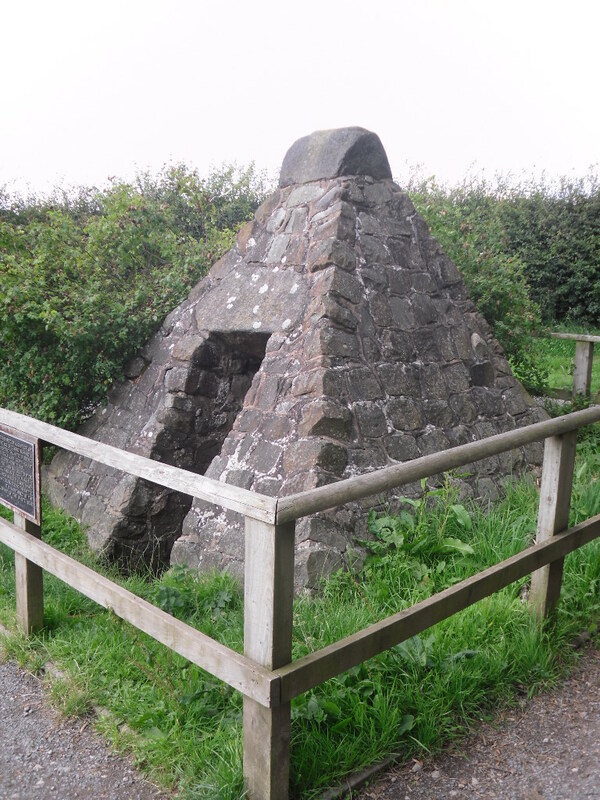 However, this is clearly not the Leper well but if the sketch in the Salt collection is to be believed the Sulphur well. It was also noted that well dressing seems to have been customary in the area, however which wells and when is unclear not when it ceased. 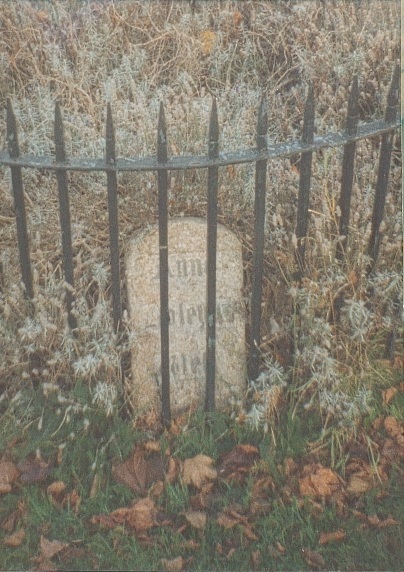 The well is a keyhole shaped stone lined well now enclosed by a fence for safety reasons. 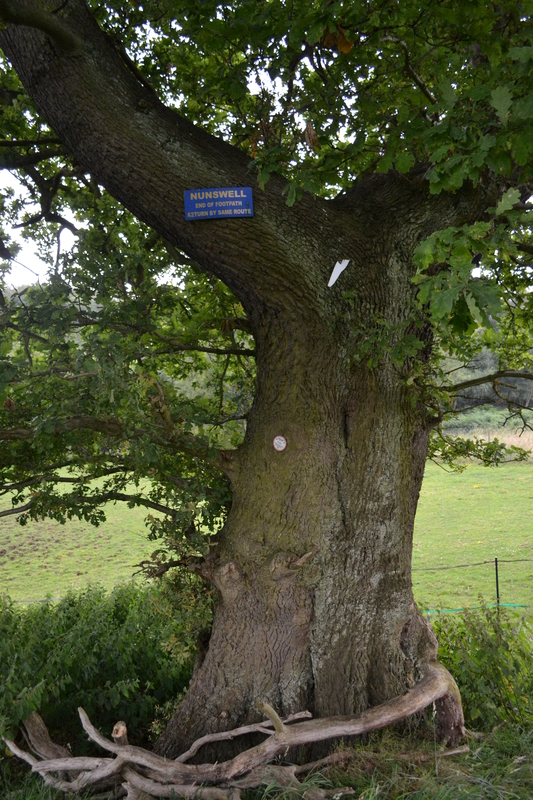 A large ash tree found over the well in the 1990s appears to have been felled probably because its roots were damaging the fabric or generally unsafe. The water is covered with thick duckweed but when disturbed there is a clear smell of sulphur. 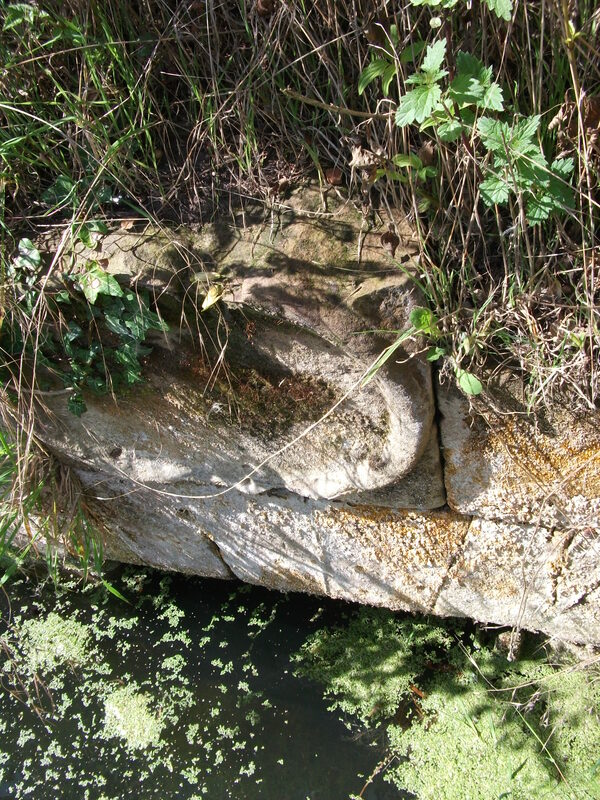 Around four steps can be traced on the east side of the well and it is probably considering the size that the well was designed for bodily immersion. This would of course link with the idea of its use by lepers. The only disadvantage is the barbed wire. I jumped over for a closer look and tore my trousers but that was preferable to being as pixy led as I was finding the Brimstone well. 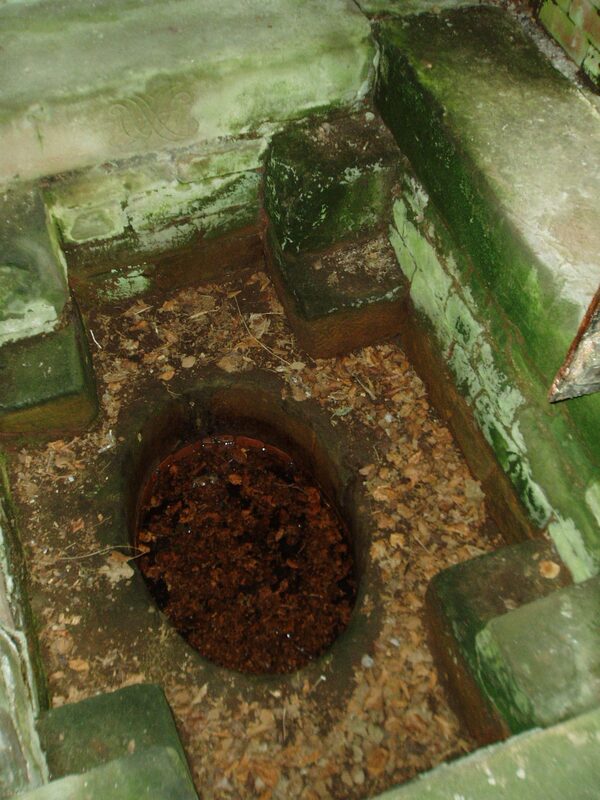 Time to save St. Edith’s Well, Church Eaton, Staffordshire? Armed with this book during a visit in the 1990s, I did indeed visit the nearby farm and was greeted by a ‘why would you want to visit that then’ response. However, I was granted access and directed across the fields. Nearby farm was clearly in relative terms! Despite the author’s note what I found was a well in a very sorry state. Much of the superstructure from the photo had gone. 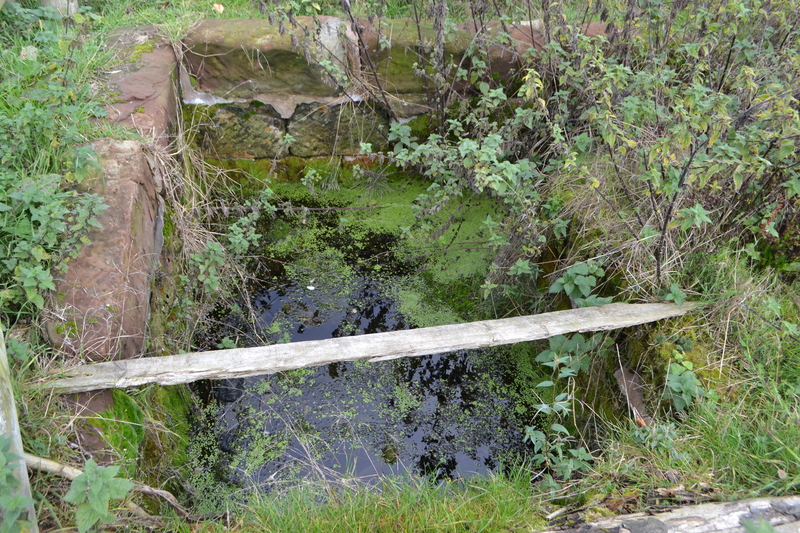 Sadly, it was a rather dilapidated well structure, consisting of what was clearly, although I probably didn’t realise at the time, that fallen wooden structure laying over a brick-lined rectangular pool where steps into the structure could just be traced. It was still there but was not perhaps as spectacular as I expected. The well has some curious local traditions. One stating that the waters did not cause rusting. One I had not heard of before and possible being unique. As stated by the Bords it was good for eyes and the Kings Evil. 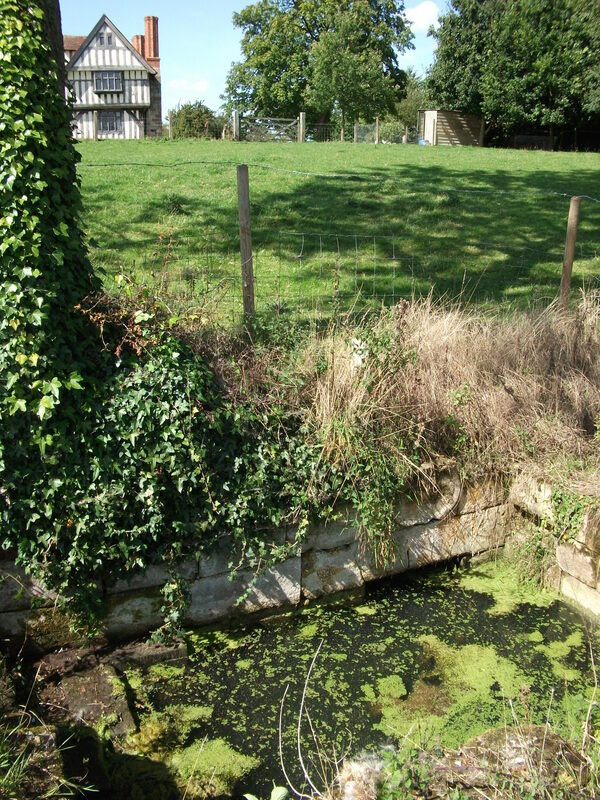 The Victorian County History records a local legend notes that near this well was the site originally chosen for the church but that, but the stones brought there by mule-back by day were removed to the present site by night. This parish church was dedicated to St Edith by the nuns of Polesworth Abbey after it had been granted to them in about 1170, although whether this because a local St. Edith, rather than that associated with Kemsing Kent, or not is unclear. 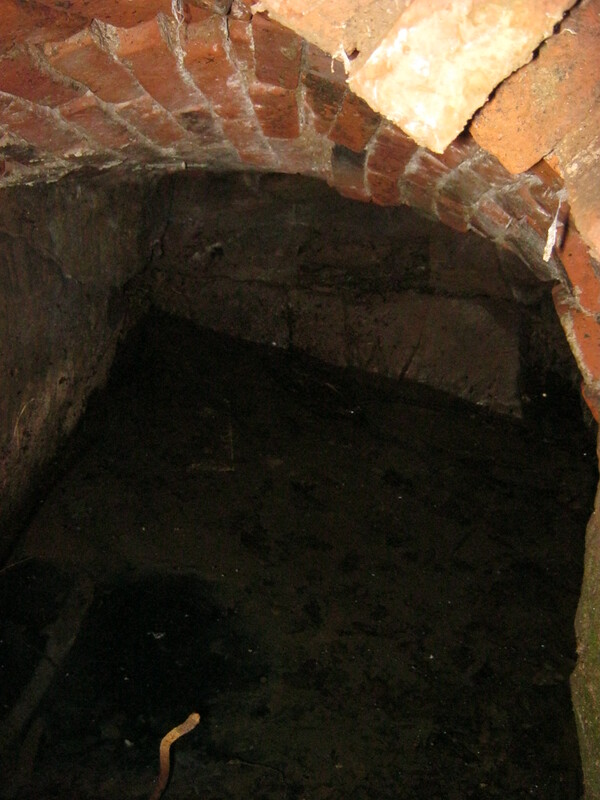 Interestingly according to Cockin (1992) records that the Bishop of Chester visited the well to bless it, and its water was used for baptisms by the family at the manor house. Speed forward another 20 years or so I have learnt things have not improved. The local concerns were sadly true; thanks to some locals I was provided with the opportunity of an update, although I note it is away from footpaths and on private land so I am not recommending you trespass. 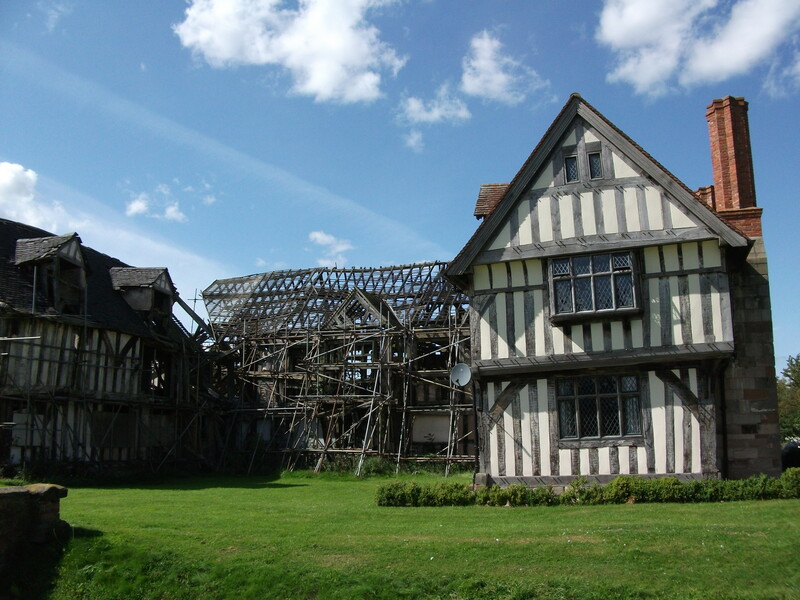 Much of the wood has been cleared, although some sections remain, but it is long beyond repair. 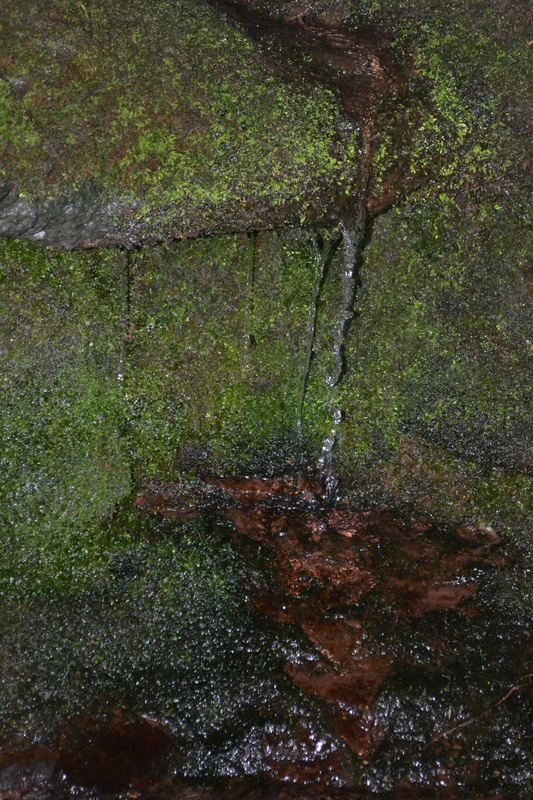 The well chamber is still full of water, albeit sluggish and algae covered. Steps could be seen however. 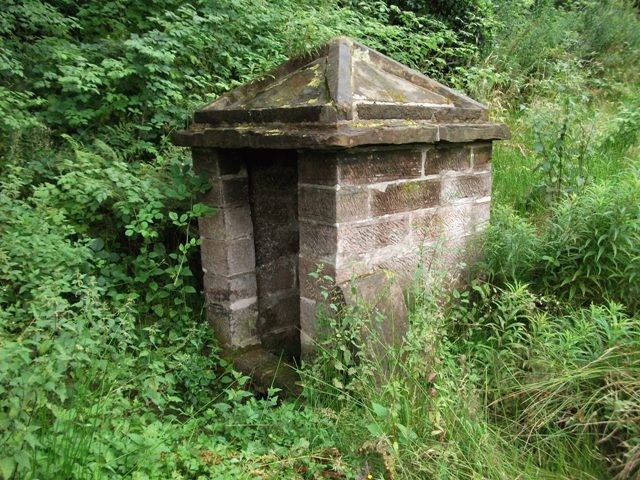 We must be thankful that its fabric remains but surely some compromise can be reached to save this notable Staffordshire well. 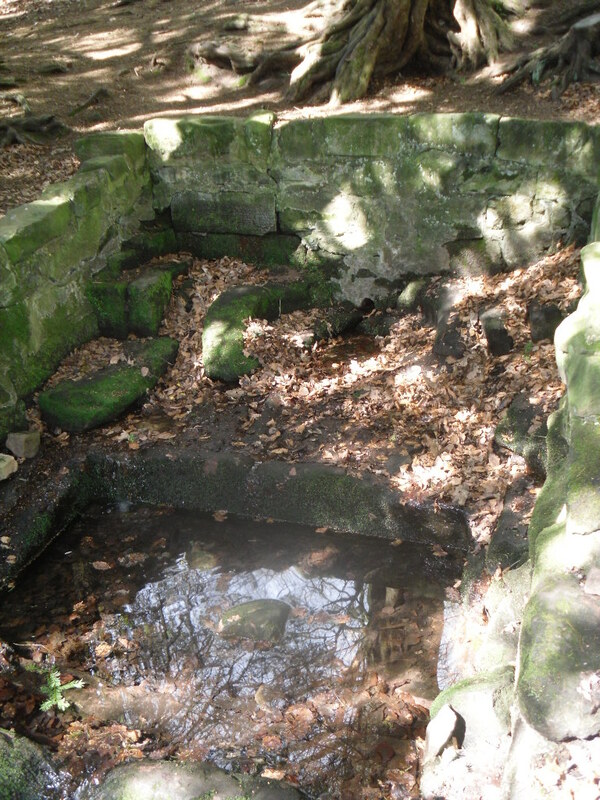 The Nun’s Well is a fascinating site. 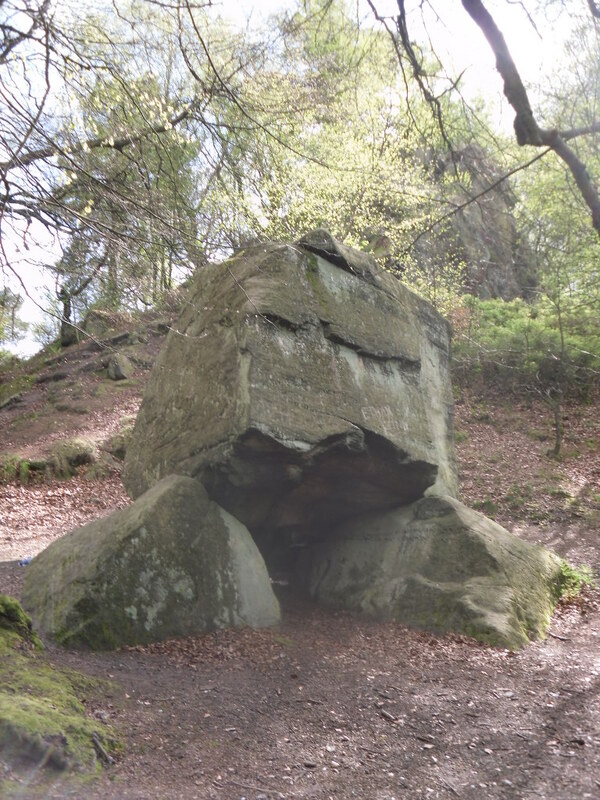 I have yet to find any concrete facts about its history, yet its local legend of a ghost which is most appealing. 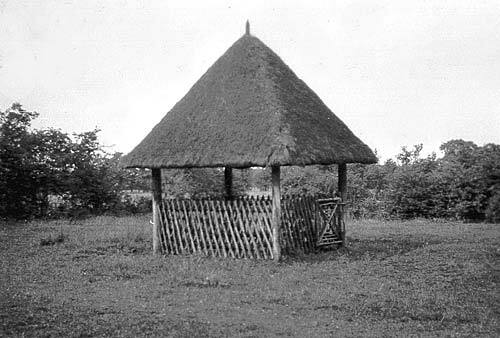 Legend tells that a local nun was pushed down the well and it was covered over, only to be discovered by farm labourers, some years later. As a result she has said to have haunted the area. I have been unable to neither substantiate the origins of this story or the nun in question, neither F. W. Hackwood’s 1924 work nor Jon Raven’s 1974 work, both on the folklore of the county, record a ghost or the well, despite the latter’s detailed notes on wells in the county. Only Duignan (1884) suggests a grant of Henry II to a priory of Farewell and the spring may have gained its name from then, suggesting the origin of the story. 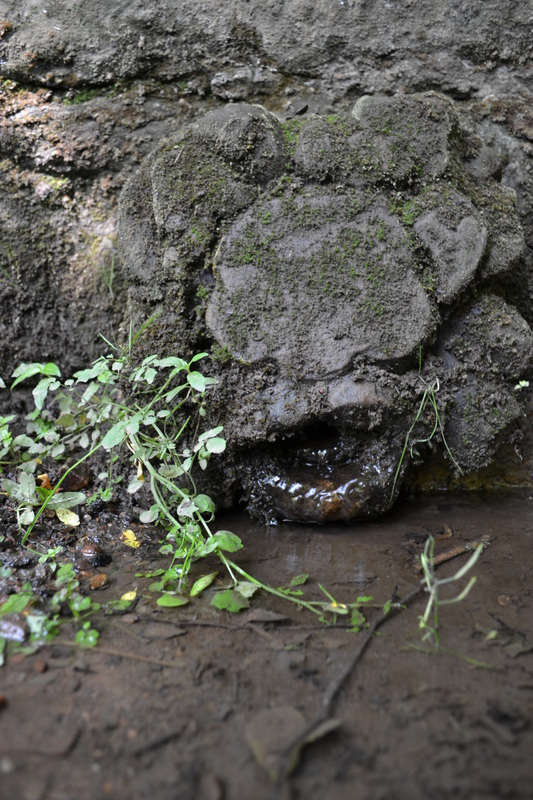 Nuns immured in wells are not unique in well folklore and it is possible that they mask a more ancient tradition. I had found my tree and the well. 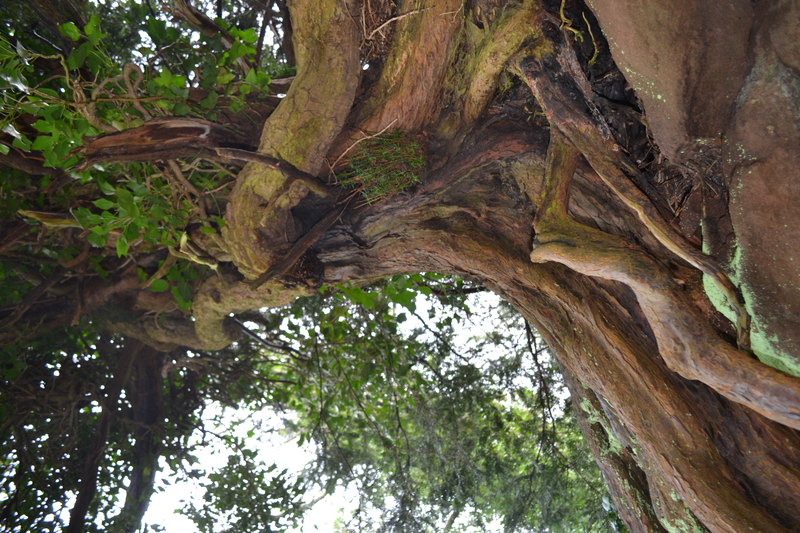 This tree was surrounded by a small white fence which I at first feared may have been electrified. It wasn’t fortunately. 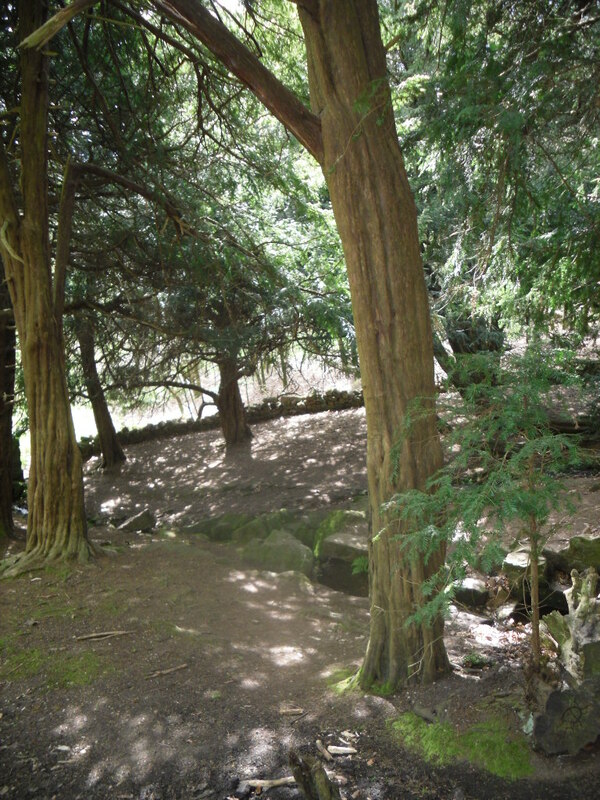 However the area was surrounded by tall nettles. I gently lay them down so that I could have a look for the well. 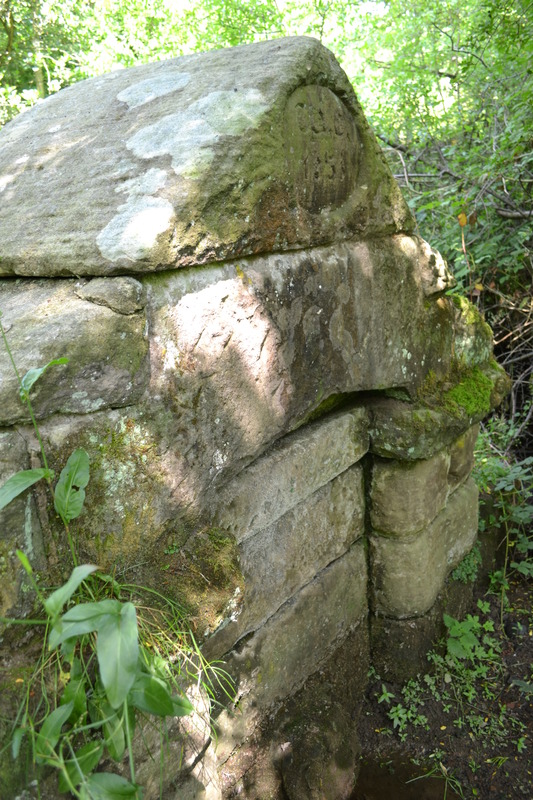 I found the narrow hole described by Tim Prevett on Megalithic Portal, with one or two bricks around it and thinking this was the only hole used by 33mm camera to get some shots. This is a bit disappointing if it’s the only viewing point. However, it was only when I took some shots upwards to capture I thought the chamber’s roof that I noticed I had taken a shot of sky. There was another viewing area! Sure enough the other side of the tree was a much larger opening about two feet square which was covered with boughs for safety. Removing one or two of these boughs (replacing them back afterwards) I could see a better view of the well. 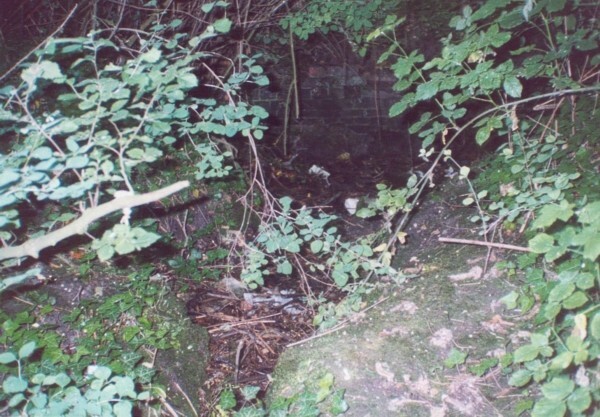 The first aspect I observed was the remains of a brick arch and it was clear that well was still partly covered by a barrel roof made of bricks which was in quite good condition. Using my SLR camera I took some shots. 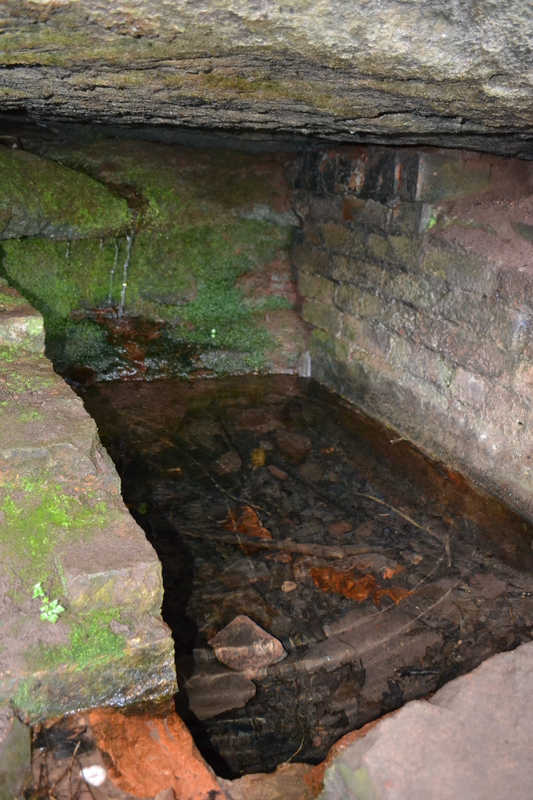 From these it is clear that the chamber is quite a large one, partly cut from the sandstone rock from which the spring arises, although some of this wall appears to be made of dressed stand stone blocks, particularly at the back I thought. Towards the front a piece of corrugated iron and some barbed wire has been placed there, when it is difficult to gage but it must have done by someone in the well chamber and presumably to prevent the earth back filling. 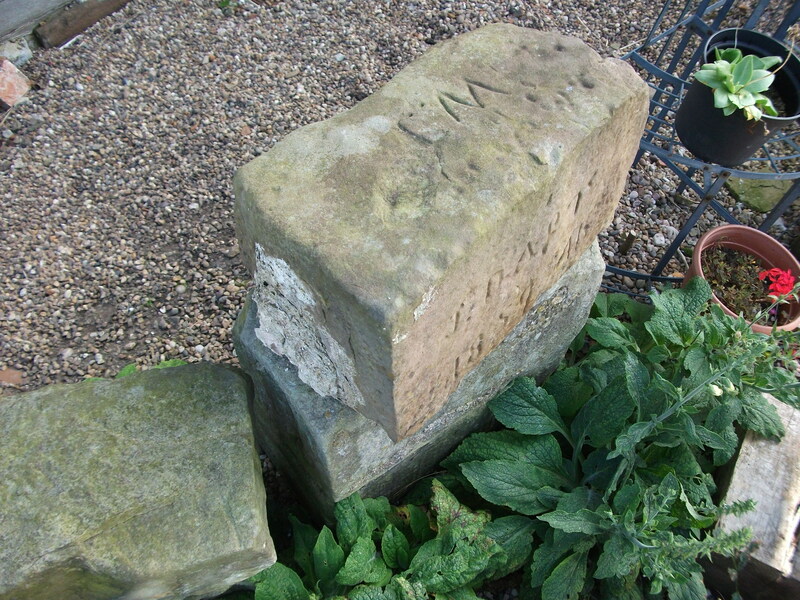 The brick work is said to be 16th century and came from a local iron works. 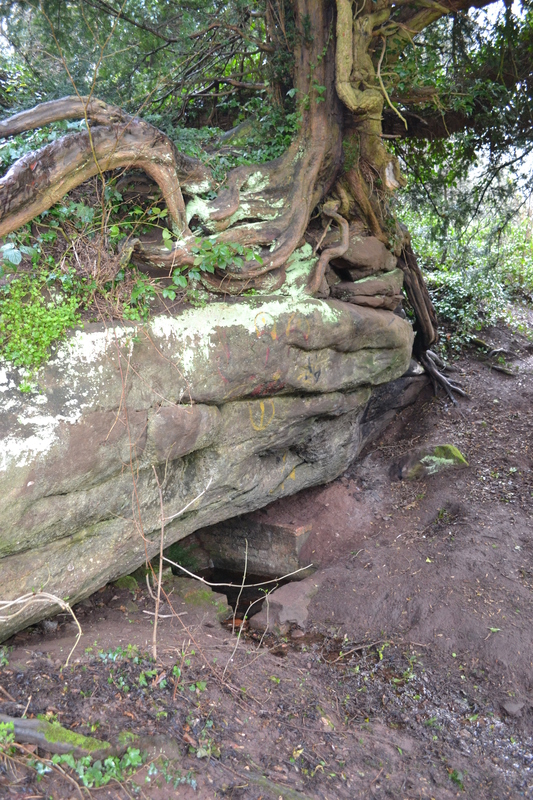 The tree’s roots have clearly grown partly over the roof at some time and causing it to collapse resulting in the rubble of stones around and the large hole to the north of the tree. One could climb down into the well but I thought twice, one could I climb out? Probably. Secondly, peering down the well I felt a little disquiet. Had I disturbed the nun? 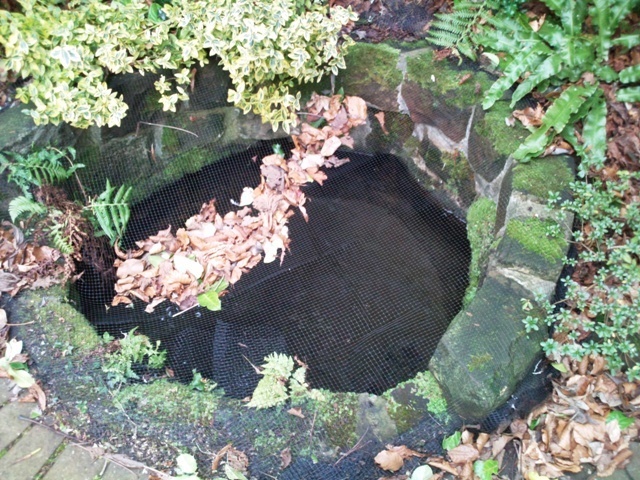 The well contained a considerable amount of water which was quite clear despite the considerable amount of debris and leaf litter within. Access the water is difficult and one needs to stretch so clearly access was better from the front before the tree. Despite this its waters were said to cure eyes. An interesting site pity despite the park being named after it no one thought of putting an information sign up! Taken and amended from Holy Wells and Healing Springs of Staffordshire – forthcoming 2015.